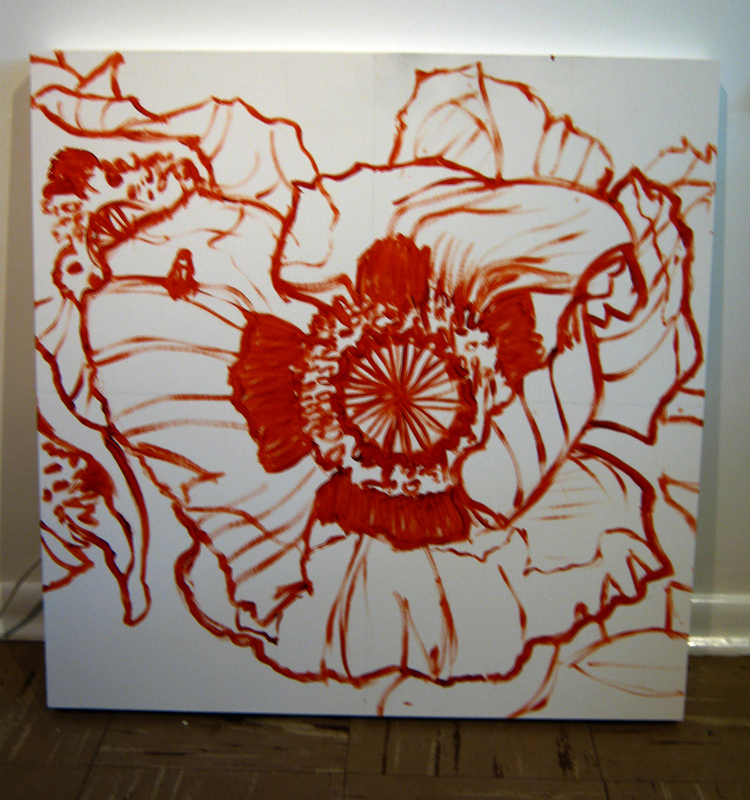 Poppies elicit many feelings and evoke many a varied thought depending on the viewer. 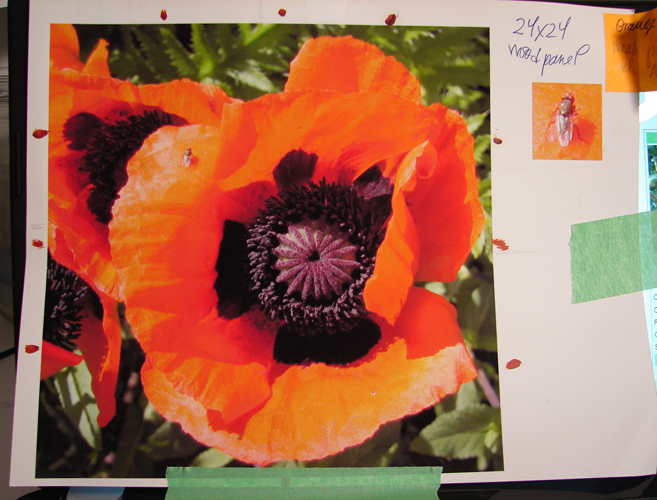 For me a poppy represents beauty and loss. Beauty because of it’s delicate petals and intricate centres. Loss because it reminds me of those who have fallen in times of war, as this is the more widely know symbol for a poppy, Remembrance. 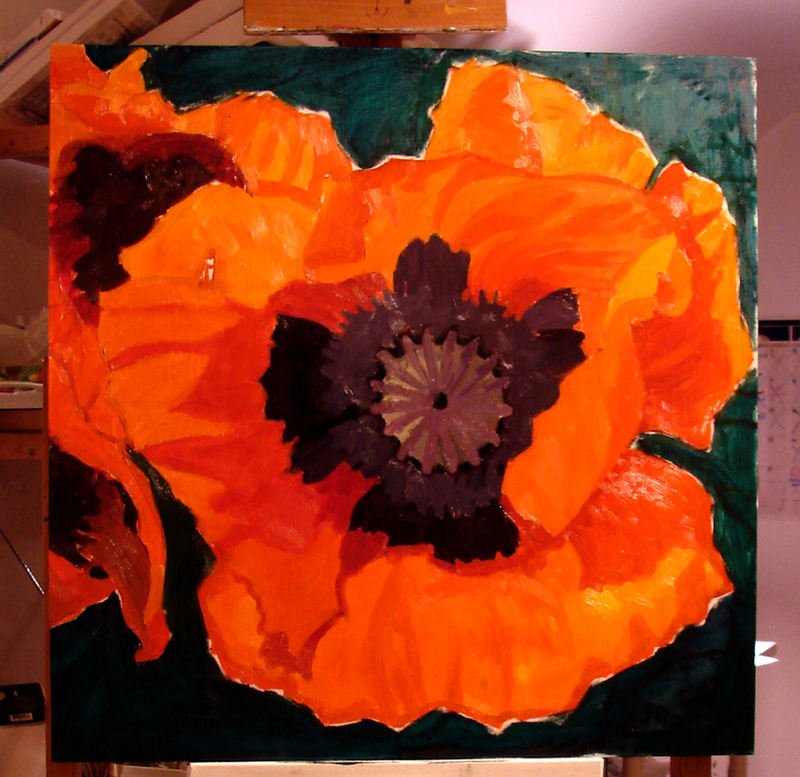 For me, such contradictions in feeling and meaning are what make poppies a very appealing and interesting subject to paint. I know that each viewer will have their own take on how they feel when viewing this piece. Thoughts I cannot predict. This what makes this painting so exciting. I also think that the bright and intense colours will compliment the strong emotions people may feel when viewing this painting. Step One: What is the painting for? I have been looking for art to hang in my dining room and I wanted it to be a bold piece with bright intense colours. Step Two: Find an image. I have always wanted a large flower painting, especially one of a poppy. 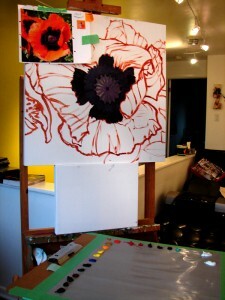 I recall never being satisfied with the poppy art available and thinking I could do something more enticing than that! As it happens, this past summer, poppies were fervently growing in my Mothers front garden and I decided to take a picture or two as reference. At the moment I cannot find said original photo so my cropped and adjusted image will have to do! Step Three: Crop and adjust image in Photoshop. As mentioned above, I cropped and adjusted my image. 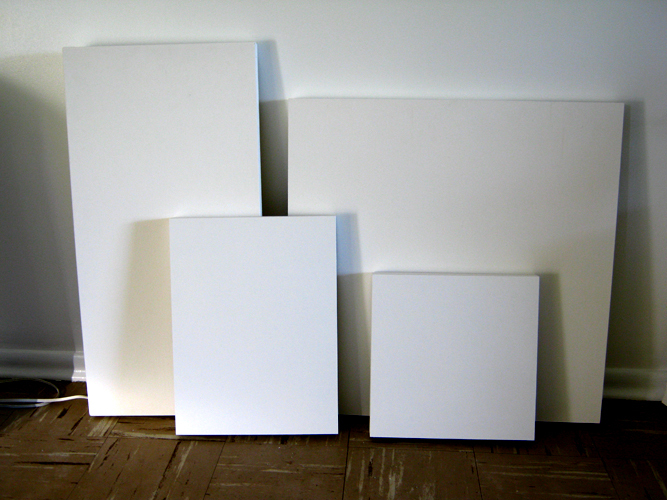 I decided that I wanted the painting to be large, larger than life-size, so I opted for a 24×24 inch Wood Panel. As you may have gathered from my previous posts, I am really digging wood panel as a painting surface. If I remember correctly, I think my photo reference was taken with my phone, which doesn’t have the greatest resolution, so my final reference image isn’t the sharpest in regards to pixels and detail. No matter, I don’t plan on recording ever single minute detail! Step Four: Prep the painting surface. Since I am using wood panel as my painting surface I applied four coats of gesso to the surface with a light sanding in between each coat. This is when you can add texture by applying thick coats of gesso or by adding an acrylic medium. I didn’t want to get all fancy so I decided to keep it simple by just applying thin coats with minimal texture. Step Five: Print out reference image and add grid lines. For this particular image I decided NOT to use my standard Grid transfer technique. Instead I thought I would just eye ball the shapes. I did however loosely place reference marks along the edge of the photo. I skipped the black and white print out and went straight to the large full colour reference on double sided matte paper. Step Six: Transfer image onto painting surface. Since I wasn’t using a grid to help transfer the image I decided to use an Organic Transfer Method. An Organic Transfer Method is a “loose” way of transferring an image onto the painting surface. It does not require a grid but instead relies on the human eye and a skillful artist to transfer the image accordingly. You can use pencil or thinned oil paint to transfer the image onto the surface. In my case, I decided to go with thinned oil paint since I wanted to challenge myself a little more and not have the option of “erasing” my lines. Also, something to remember is that these lines are just reference. They may or may not be accurate in regards to the actual shapes and they can be adjusted when moving on to Step Eight. Step Seven: Colour Wash. This step is not applicable when using the Organic Transfer Method unless you use pencil to transfer your image over. Since I used thinned oils I do not need to seal in graphite. Step Eight: Paint. My *new* painting technique has me working differently in regards to colours and paint application. I am still trying to make my painting technique more efficient by avoiding unnecessary layers of paint. My goal is to have a maximum of three layers (if that) on the painting surface. That does not include additional colours that add interest to areas and create another layer of depth. Mainly my objective is to reduce my painting time by reducing correction time. Mixing colours that are the correct hue is essential. Here is a photo after a quick painting session. FYI: As you may have noticed, I have switched palette types from white to grey. Not sure how I will like this transition but thus far I have no complaints. I really am loving the extra mixing space. I have taped one and a quarter sheets of palette paper to a drawing board. The only draw back to this is that I cannot hold the palette in my hand but instead I must leave it atop a table or in my case two boxes on top of my painting chair!